We live in a country where the music scene is always alive and growing: we have homegrown talents that have established themselves well within the music scene, we have many acts performing in gigs every night to develop their craft, and we have artists who are thriving online. 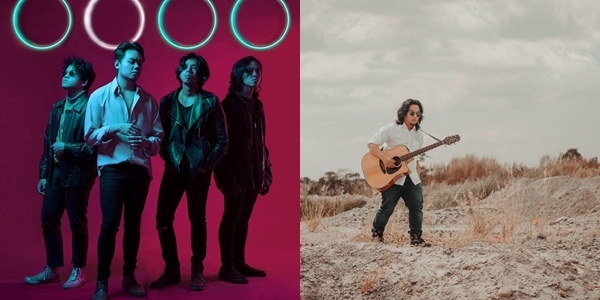 The Philippine indie music scene truly is one that is diverse and worth looking into – so if you’re looking for brand new tunes, look no further! Here is a list of our homegrown talents that is sure to pull you in with their sound. Better Days is a band formed in 2017 and is comprised of four members: Daniel Paringit on vocals, Rosner Mabuti on keyboard, Gelo Cabigon on bass, and Jaro Delos Reyes on lead guitar. This fast-rising band has already performed in major music events like UP Fair: Elements and Rakrakan Festival 2018: Pinoy Muna, in addition to various music festivals around the city. The band currently has two releases available for streaming: ‘Nararamdaman’ and ‘Sige Lang,’ both of which are available for streaming on Spotify! Hailing from Parañaque, One Click Straight is an alternative rock band formed in 2009 by bassist Toffer Marquez, drummer Tim Marquez, guitarists Joel Cartera and Sam Marquez. Their music is influenced by alternative bands like Switchfoot and Foo Fighters, with a flavor of power-pop and pop-punk. The band has since released a number of singles and an EP, all of which are available for streaming on Spotify. Hey! It’s Your Birthday is a Cebu-based band comprised of Anne Amores on vocals, Karl Lucente on guitars, Kat Malicay on bass, Faith Bernardes on keyboards, and Lester Infiesto on drums. This band is known for making dreamy and melancholic songs, blending electronic piano with lethargic vocals. They have performed in various gigs in Cebu and Manila, and have performed in large-scale indie music events like Attraction! Reaction! The band released their debut self-titled album, which is available for streaming on Spotify and Soundcloud! Memory Drawers is known for their lo-fi, twee-pop tracks. Their music is known for their dreamy and melodic quality, paired with syrupy and fuzzy vocals. The band has performed in various gigs across the country, as well as large scale music events such as Fete De La Musique 2017 and The Rest is Noise. They’ve released a number of tracks, some of which have been featured in lists like ‘100 Essential Filipino Tracks of 2016,’ and featured in various mixtapes. Their songs are available for streaming on Soundcloud! Shirebound & Busking is Lego Tan from UP’s Underground Music Community. He began performing in various events in campus before eventually performing in gigs around the city. Inspired by The Eraserheads, The Beatles, and Joey Ayala, he is known for confessional love songs that talk about love, warmth, and heartbreak. His music has been featured in JP Habac’s I’m Drunk I Love You, and he has performed in large scale music festivals like Fete de la Musique and Roots Music Festival. His first full-length album, ‘For Princesses, By Thieves o Mga Awit Para sa Guni-guning Sinta,’ is currently in the works and his songs are currently available for streaming on Soundcloud and Spotify. Mellow Fellow is Polo Rivera’s stage name, which he uses for his intimate projects. He is known for his melancholic dream pop tracks, all of which are a soothing blend of radio-friendly tunes with somber lyrics. He currently enjoys a massive following online, as well as a high number of streams on Youtube and Spotify. Mellow Fellow has also collaborated with artists such as Clairo, FLOOR CRY, and Alyana Cabral from Ourselves the Elves. He currently has two albums, as well as a number of songs, all of which are available for streaming on Soundcloud and Spotify. Dragonfly Collector is Clem Castro's (professionally known by the mononym Clementine) solo project, where he hopes to express all sides of himself. His music is influenced by The Beatles, The Smiths, Fleet Foxes, as well as genres such as British New Wave and Indie Folk. Through this project, Clementine has released his debut album, ‘The World is Your Oyster,’ which was hailed as one of the best independent albums released in 2015 by various music critics across the country. His single, ‘There is No Remaning in Place,’ was a semi-finalist for an international songwriting competition in 2013. Both of these releases are available for streaming on Spotify.